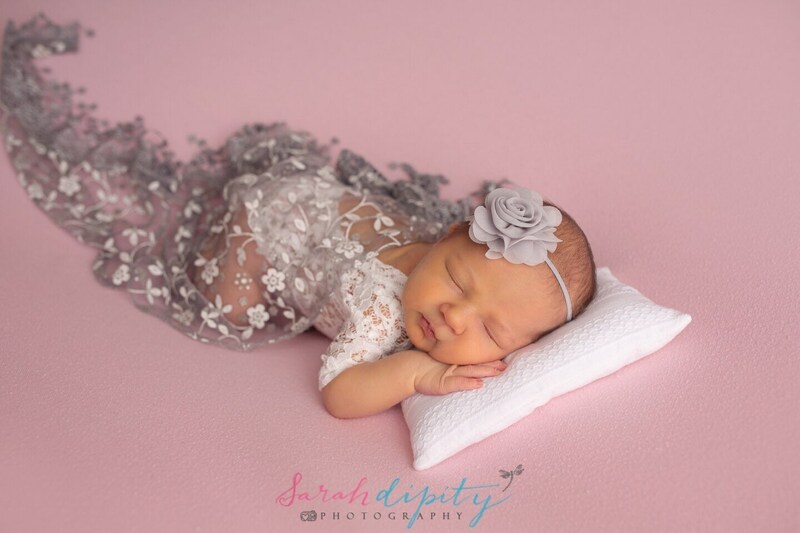 Photographer set - Newborn lace romper, fringe layering & flower headband, photoshoot, by Lil Miss Sweet Pea. 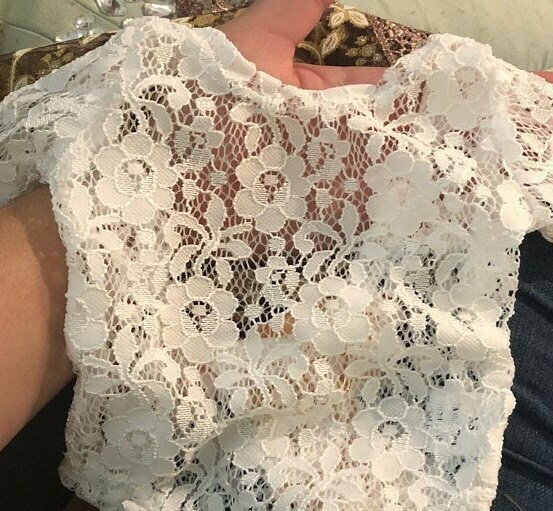 This 3/4 length sleeve embroidered white stretch lace romper is for newborn photos, not everyday wear. We only make this in newborn sizing. Romper is not lined, it is open cut lace fabric. Average length from shoulders to crotch is 11 inches. Chest is approximately 7 inches. The back is low cut to make it easy to dress the newborn. Fits 6-8.5 pound newborns. This is a 3 piece set, this romper is available by itself in our other listings.